The cost of brain tumor surgery in India for overseas patients is inclusive of hospital stay, pick up from the airport, medicines, consumables and surgeon fees. It should be noted that the best and the most diversified types of medicinal products are produced in India at a very lower cost. This is what leads to low cost of medical treatment in India. Brain tumor treatment cost in India is comparatively affordable than in the other countries in the world. The healthcare facilities in India and its allied services are available at the most reasonable price. 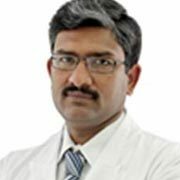 The best brain surgeons in India boast of super specialty training and academic qualifications from some of the top medical institutions and hospitals in the US, UK and other developed countries. The patients coming to India for tumor treatment, can avail it at 15 to 20 percent of the total cost in the western countries. Surgical facilities offered in India are not compromised in terms of quality and are meant to deliver highest success rate. How to diagnose Brain Tumor? What are the various types of brain tumors? What are the different treatments for Brain Tumor? What are advance treatment methods available? How much time does it take to recover from Brain Tumor Surgery? 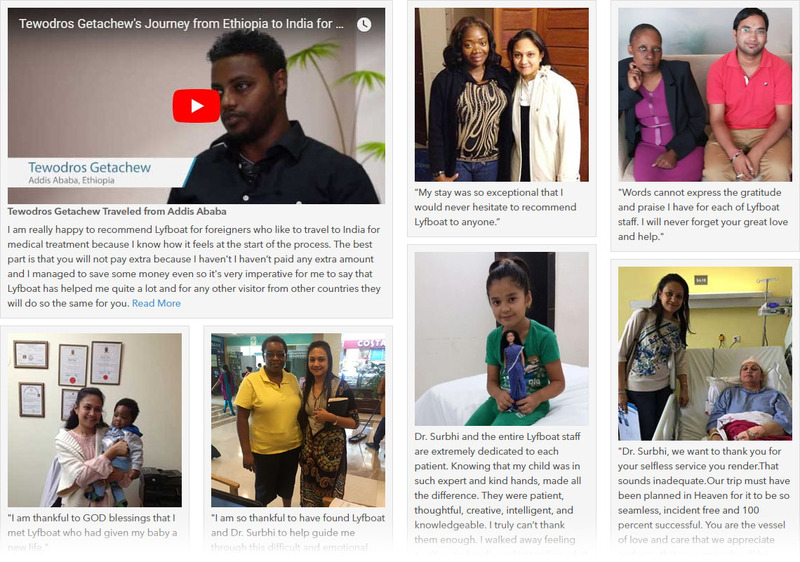 Why people choose India for Brain Tumor Surgery? These symptoms are usually observed soon after the surgery and gradually fades away as part of the recovery. The location of the tumor can sometimes be responsible for prolonged weakness and even requires therapy or rehabilitation in some cases. For a promising brain tumor treatment, it is extremely important to diagnose the condition and position of a tumor. Several steps are involved in brain tumor diagnosis, which includes the CT scan, X-Rays, MRI scan, biopsy, Complete Blood Count (CBC), and neurological examination. A close check-up of the eye is also important to check for swelling which may be caused due to a tumor pressing on the nerves in the brain and the eye. Correct diagnosis will help confirm whether the patient is actually suffering from a brain tumor or not, identify the stage of cancer and also figure out the extent of its spread. Brain tumor diagnosis is primarily done with the help CT scans and MRIs. Another popular diagnostic procedure called PET scan measures the activities in the brain and transmits a signal to the computer by creating a live image. Surgeons generally refer to PET scans to spot the difference between recurring tumor cells, scar tissues, and necrosis. A biopsy is yet another procedure used by a pathologist to discriminate the normal cells from the abnormal cells. A biopsy result may show signs of cancer through tissue changes. During a biopsy, a piece of tissues suspected to be affected by cancer is looked under a microscope. Cancer cells, thus, are differentiated from normal brain cells and brain cancer diagnosis is established. The two most dangerous types of brain tumor include glioblastoma multiforme and astrocytoma brain tumors. GBM treatment typically involves a surgery, which is combined with radiation therapy. Once the surgery is completed, radiation therapy is administered to destroy any leftover tumor cells. This procedure helps in preventing the reappearance of a tumor. They have its source in astrocytes or star-shaped cells. These types of tumors are classified into four categories, which include grade I, grade II, grade III, grade IV. The most common symptom of this type of a tumor is increasing the pressure inside the skull. Some of the major symptoms include personality changes, drowsiness, disordered conduct, obtuseness, and lethargy. Astrocytoma tumors are best treated with radiation therapy. An inoperable brain tumor can be highly dangerous. Due to its remote and inaccessible location in the brain, such tumors are inoperable. However, there are treatments for these types of tumors. Medications and radiation therapy helps control the growth of such tumors. How can Lyfboat assist you getting Brain Tumor Treatment in India? Lyfboat is a free advisory platform; we do not charge any fees from patients. In fact, we negotiate the price that Indian hospitals offer for brain tumor treatment options. In some cases we are able to reduce the cost of brain tumor treatment by negotiating by upto 20% of what Hospitals generally offer. We advise the best treatment from the top hospital/surgeon at best price. By far, surgery is the best brain tumor treatment. While non-cancerous tumors are most suited for surgical procedures, cancerous tumors are attended by surgery along with radiation or chemotherapy. Brain tumor surgery is done with an objective of ensuring a longer life and paving way for highly effective chemotherapy or internal radiation. In addition, it provides a pathway for delivering the best intra-surgical treatments such as hyper therapy or laser surgery that lead to elimination all of a tumor. This is a surgical procedure during which a piece of brain tissue affected by cancer is removed for further analysis and examination. The sample is examined by a pathologist who examines the stage, grade, and type of tumor. This information is used by the surgeon to prepare a treatment plan. Needle Biopsy: In this approach, a piece of tissue is extracted using a fine needle. It is a minimally-invasive procedure. This approach requires the creation of a small hole in the skull through which the needle is inserted. Open Biopsy: In this approach, the tumor is completely exposed before a piece of it is taken. A part of the skull is shaved. An incision is made into the skin. Specialized tools are used to remove a piece of bone in the skull that exposes the tumor. The outermost layer of the brain tissue is opened to locate the tumor. The tumor is resected using special instruments. The bone removed from the skull and placed and the incision is closed. Some patients with brain tumor also suffer from increased intracranial pressure. In such patients, a procedure is conducted to drain the excess fluid creating a pressure inside the skull. This procedure is known as shunting. 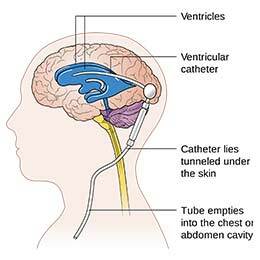 Shunting involves the use of a narrow piece of flexible tubing called shunt or catheter, which is inserted into the ventricle of the brain. The other end of the catheter is threaded into a body cavity where the excess fluid is collected. Not sure about treatment? Ask Us. The benefits of brain tumor surgery manifest themselves differently from one patient to another. 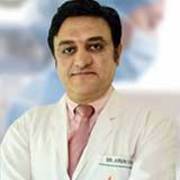 However, the objective of the surgery is to cure different types of brain tumors in all category of patients suffering from different types of brain tumors. Brain tumor treatment ensures the improvement of symptoms and enhanced quality of life. Overall, recovery after brain tumor surgery may take a few months, and the patients are likely to experience certain side effects of chemotherapy and radiation therapy after the treatment. Remember, early diagnosis and treatment of a brain tumor can help save patients’ lives and ensure better longevity. Besides, early detection enables restoration of brain functioning and maximum comfort for the patient. 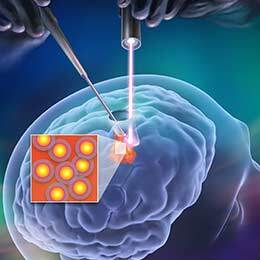 These specified procedures for brain tumor treatment supported by advanced computer screening enables surgeons to reach a tumor, which is seated in a remote corner of the brain. Such tumors are otherwise difficult to reach through traditional means. During the surgery, doctors can keep an eye on the instrument movement inside the brain, thus ensuring complete control over a tumor inside the brain. ‘’Real-time’’ imaging helps to check if a tumor has been successfully removed as planned. The reason why India is the most preferred destination for patients from all over the world is that of the country’s most knowledgeable and skilled doctors, low cost endoscopic brain biopsy, adequately-trained English speaking nurses and staff and advanced treatment options. Gone are the days when a brain tumor was a scary health condition since modern surgical modalities and advanced technology have made it a successful procedure. India offers all types of facilities that are required to treat patients while ensuring perfect clinical outcomes so that they can return back to their normal lives as quickly as possible. Q: What care is to be taken after Brain Tumor Surgery? Post-surgery, patients are generally recommended to regularly undergo physiotherapy, speech therapy, and occupational therapy sessions. The motive of these therapies is to speed up the recovery and to help patients continue their normal daily activities without any hindrance. Q: What are the chances of surviving brain cancer? The chances depend on the type, stage, and grade of breast cancer. Children are more likely to survive as compared to adults. Q: What are the possible risks of brain surgery? Problems with speech, muscle weakness, coordination problems, and difficulty in balancing are some of the potential risks of brain surgery. Q: How long does it take to remove a tumor from the brain? Brain surgery for tumor removal may take anywhere between four to six hours. Q: Can you drive a car after brain surgery? Whether you can drive a car or not depends on the type of surgery conducted. 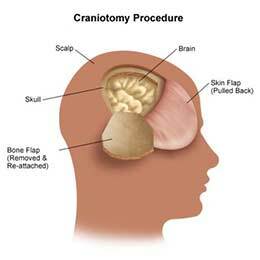 You cannot drive for at least six months after having a craniotomy. Q: Can brain surgery affect memory? Brain surgery, radiation therapy, and chemotherapy may affect memory but in rare cases. Brain surgery may cause swelling in the brain, which can affect its functioning. Memory-related problems are one such example but it is temporary. Some of the most coveted brain tumor hospitals in the world are found in India. The country is known for offering advanced medical facilities at the most reasonable cost. The best brain tumor treatment hospitals in India have a comprehensive solution for the most critical cases of a brain tumor. Early diagnosis, surgery or treatment helps to enhance the chances of a successful outcome. The types of treatments followed in the best hospitals are applied with the purpose of detecting symptoms, curing the tumor, and eventually improving brain function. The Indian brain tumor hospitals deliver advanced oncology care and highest quality services backed by elaborate infrastructure and lower treatment cost. 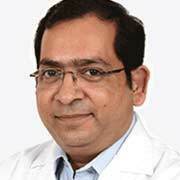 Indian brain tumor surgeons rank among the list of best neurosurgeons in the world. 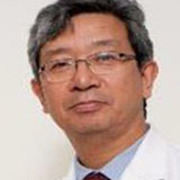 They have years of experience in the field of Brain tumor Surgery. The oncologists are mostly trained by some of the best medical institutions. They also hold several certifications in the field of brain tumor surgery and are globally renowned for their excellent surgical expertise. 4.3 average based on 15 reviews.